Lovely red and blue fringe becomes the stylish partner of this cozy and super soft alpaca poncho. 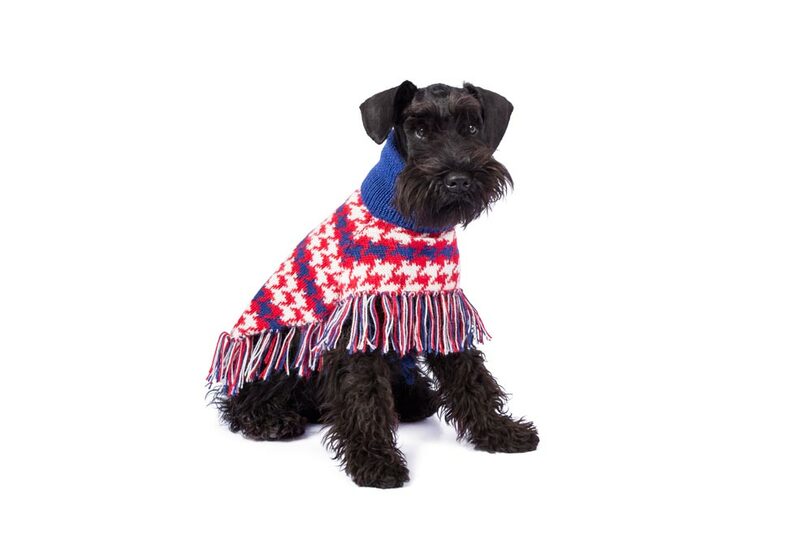 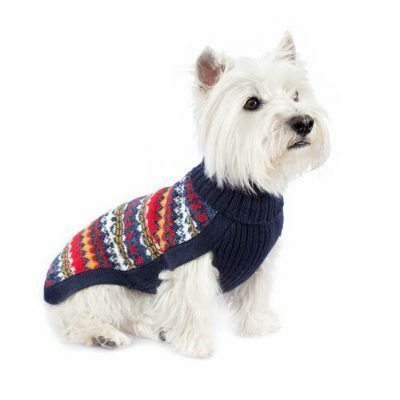 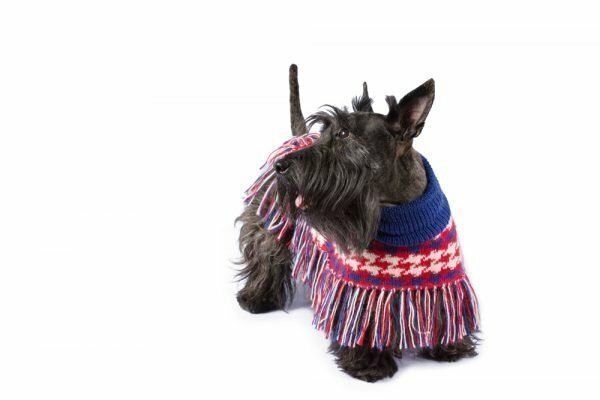 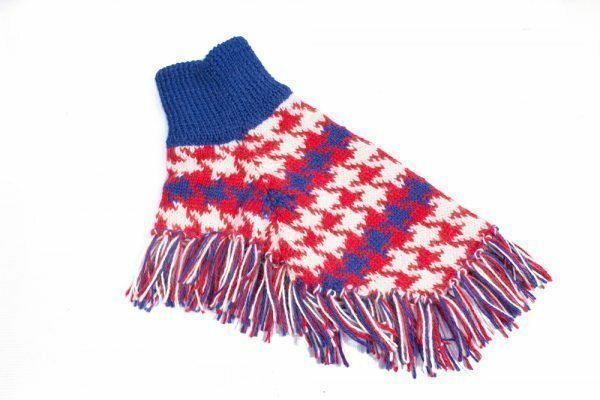 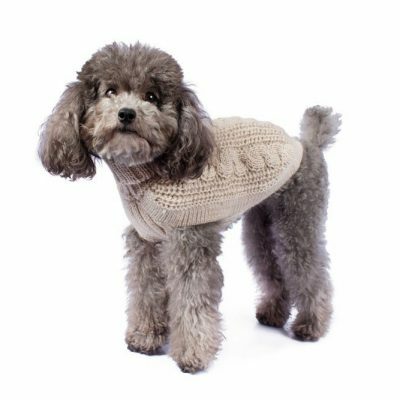 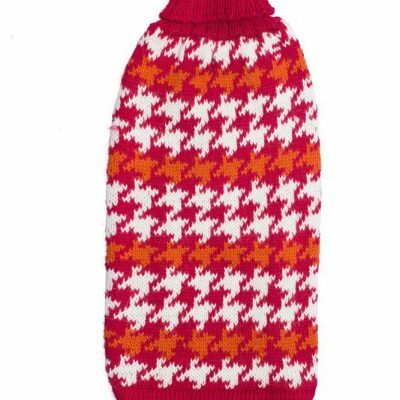 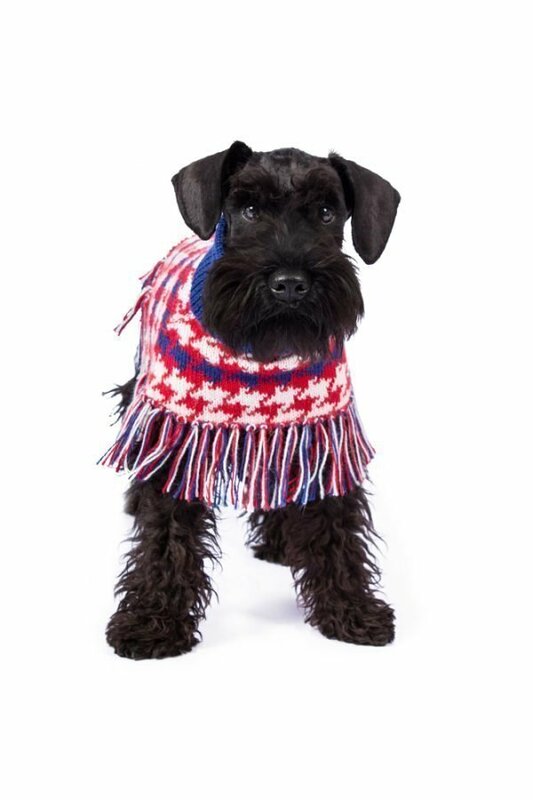 Knitted in classic pied de poule, a true work of art for the pampered and sophisticated dog. Highly recommend this poncho! 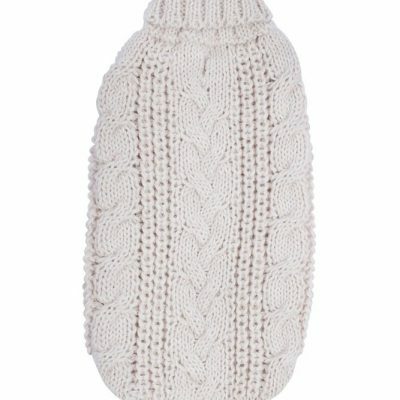 This poncho is both gorgeous and soft. 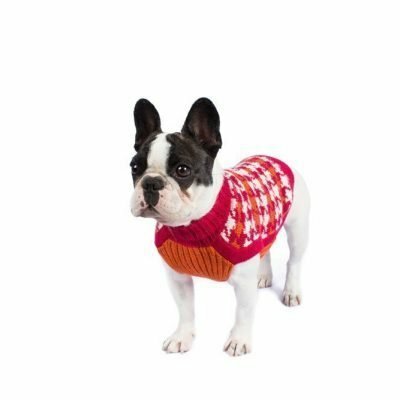 Our pup gets comments on it everytime he wears it. 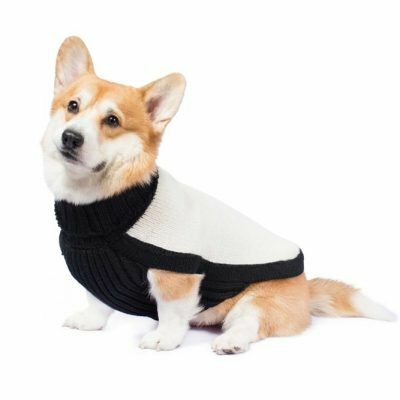 It is very easy to put on him and stays in place with a tie that goes across the belly.